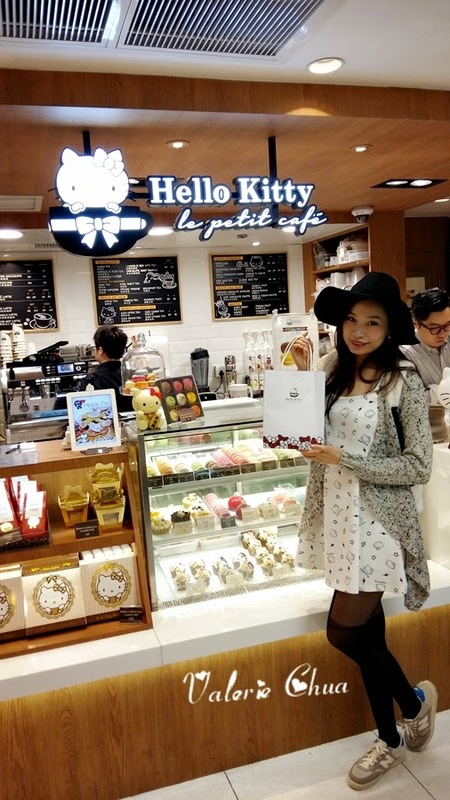 After visit to The Peak, my man and me rushed to Sogo and hope that we can make it to Hello Kitty Le Petit Café to blow a birthday cake. 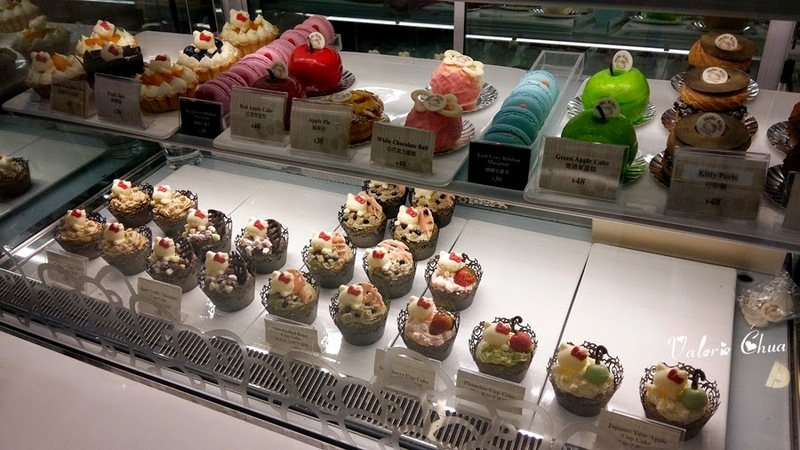 When we reached, our jaw dropped because this is just a take away café, which means no seats for us to blow a cake! 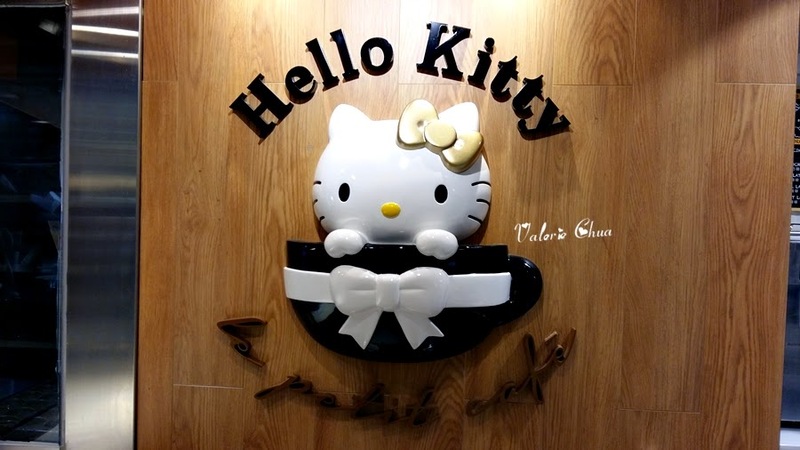 :'( Thou a little disappointed, but I still get overwhelmed by the cutie of the café. 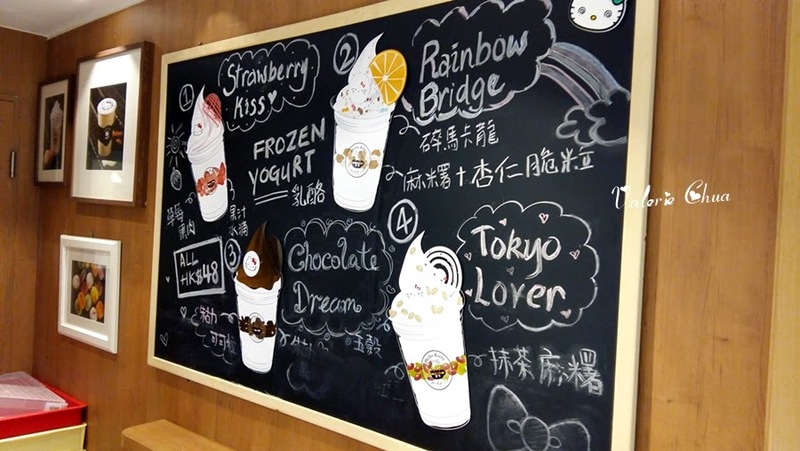 The blackboard showing the Best Seller of the café. 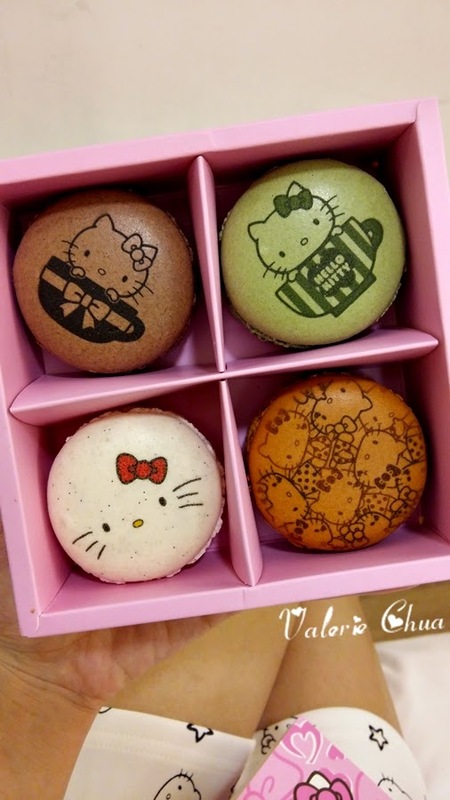 Assorted Hello Kitty designs pastries. 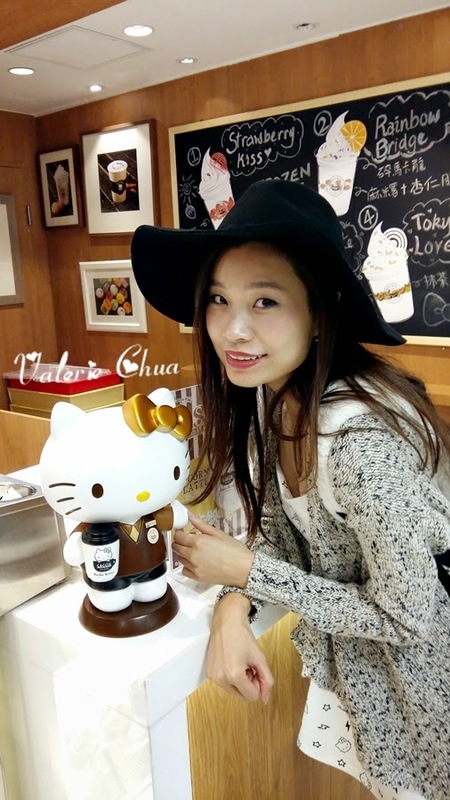 Hello Kitty barista! Haha! So cute! Take away with simple yet sweet paper bag design! My man bought me a promotion set, where you purchased 4 macaroons and get 1 for free. 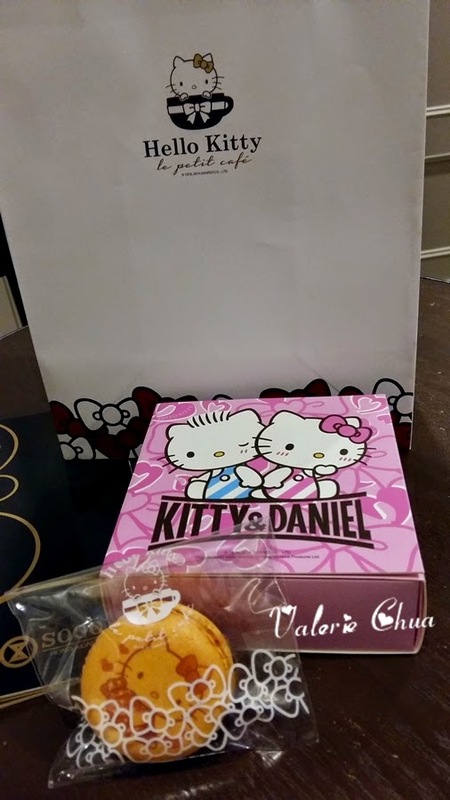 The box is baby Kitty with baby Daniel. You can write your wishes on the back of front cover!